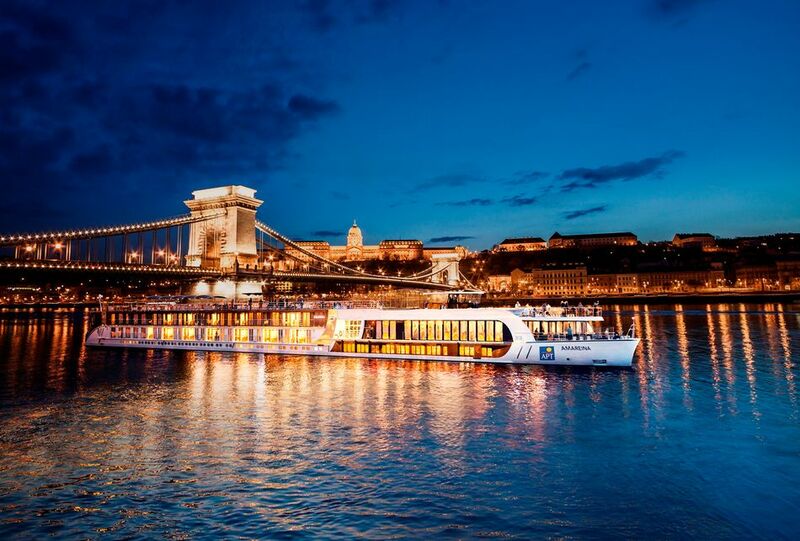 AmaWaterways’ Exclusive Concierge Golf Program includes 7 nights on board their newest and most innovative ship to date, AmaMagna, sailing along the Danube and taking you to some of Europe’s most prestigious golf courses. AmaWaterways Golf Program is available on the ‘Melodies of the Danube’ and ‘Romantic Danube’ river cruise itineraries. Whats included in your AmaWaterways golf river cruise package? In addition to the wonderful selection of experiences and amenities available during your river cruise, both on board and ashore, AmaWaterways Exclusive Concierge Golf Program provides a seamless golfing experience from the moment you arrive to the moment you bid farewell. On a luxury APT River Cruise guests can personalise their holiday depending on their interests and fitness levels with their themed Freedom of Choice Touring excursions, including a round of golf on select itineraries. Aim for that elusive hole in one as you enjoy the beautiful fairways of Schloss Schonborn Golf Club, a member of the ‘Finest Golf Courses of the World. The castle was built between 1712 - 1717 by architect Lukas von Hildebrand, and the 104 hectares of park land were converted in 1989 into a perfect golf complex, with two thirds of the 27 Hole Championship Course located within the Castle walls. Les Chateaux golf course was voted Best Golf Course in France in 2014 by the World Golf Awards. The quality of the greens and the course design make this championship course a golfing challenge of the highest order. Nestled in the heart of 200 hectares of countryside, the Golf du Médoc Resort offers two golf courses recognised amongst the most beautiful in Europe in an exceptional setting at the gates of Bordeaux. Located in Provençal surrounds and offering a superb view of the famous Mont Ventoux, the course features a driving range on the water and a club house set in an old Provençal mas (traditional farmhouse). Enjoy flat, wooded and water hazards designed by Georges Rouméas and the French champion Jean Garaialde. 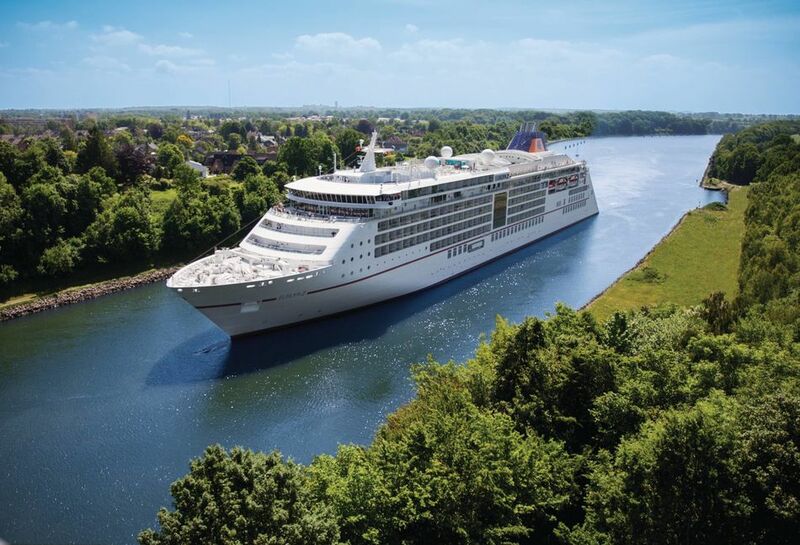 Hapag-Lloyd Cruises offer their Golf program on a number of sailings on their flagship Europa 2 cruise ship, the highest rated cruise ship in the world according to the Berlitz Guide to Cruising. The ship also features a hi tech golf simulator with an on board PGA Golf Pro on hand to help you practice your swing. In addition, on their exclusive Golf & Cruise voyages they have reserved the best greens for you in advance and put together attractive basic packages (subject to a charge). Golfers with a handicap of –36 or better can play on these first-class courses alongside the Hapag-Lloyd Cruises PGA professionals. All Golf & Cruise voyages are rounded off by friendly get-togethers on board, where you can meet up and talk shop to your heart’s content with the pros and fellow golfers. The comprehensive Hapag-Lloyd Cruises Golf & Cruise package is subject to a charge. What's included on a Hapag-Lloyd Cruises Golf & Cruise? Available on select Europa 2 sailings to Australasia, Mediterranean, Iberia, UK, Northern Europe, and the Canary Islands. Fore! Golfers, don’t miss these exclusive golf voyages brought to you by Azamara Club Cruises® and PerryGolf™, the international leader in luxury golf vacations. Truly outstanding golf is found almost everywhere these days which means golf cruise vacation choices are available throughout the year. We begin in February with New Zealand and Australia plus an all new voyage to South Africa. During the spring and summer, we have voyages to Charleston & Bermuda including an option to attend the Masters, Southeast Asia to Hong Kong, the Baltic Sea including St Petersburg, the British Isles with attendance to The Open, plus voyages in the Mediterranean from May to October then the Arabian Gulf along with another new voyage to South America in the fall. Those keen to combine their love of golf with their passion for travel will find the best of both onboard an Azamara - PerryGolf cruise. 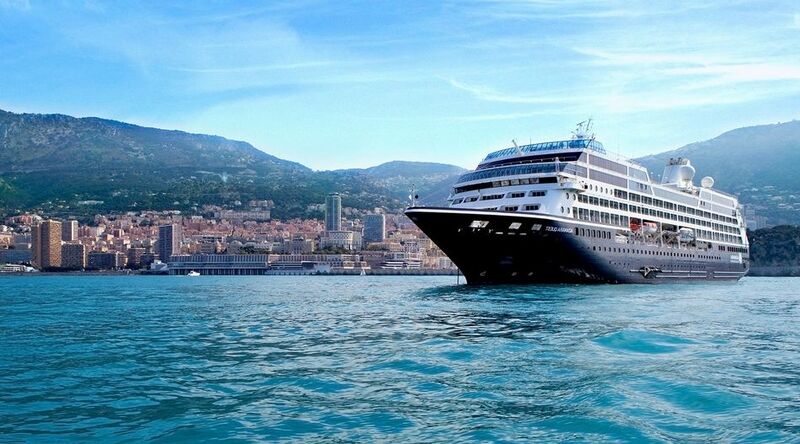 What's included on a Azamara and PerryGolf cruise? Azamara Club Cruises golf packages are in addition to the cost of your selected suite or stateroom. Available on select cruises to Asia, Bermuda, Iberia, Baltic, UK, Mediterranean, Emirates, South Africa, Australasia, Ireland, and South America. 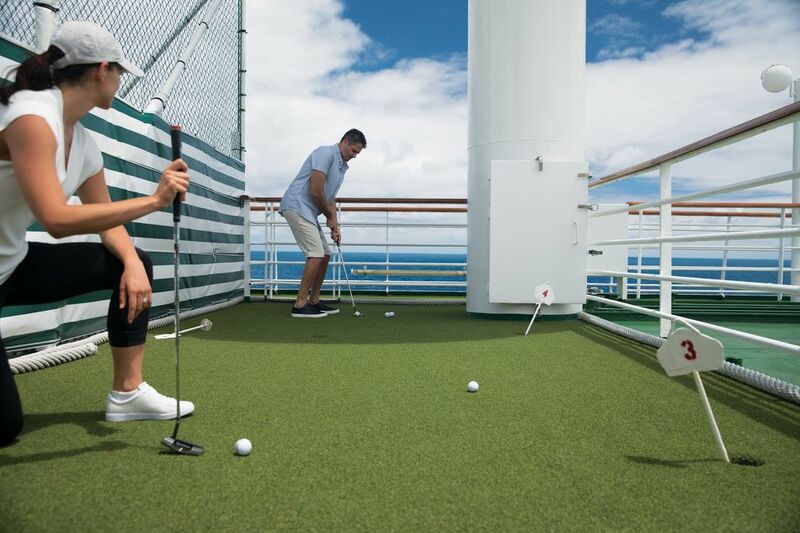 Crystal Cruises has created a Golf Program for guests who purchase two or more rounds of golf. In addition to fabulous rounds of golf on some of the world's most renowned courses, guests participating in the Golf Program will receive a number of exclusive benefits. VIP Golfers Welcome Cocktail Reception, the first opportunity to meet other participants and be paired up into foursomes. Our PGA Teaching Professional will review the golf program, scoring, pre-selected holes and awards.Prizes will be awarded for men’s and women’s best overall putting contest score, average score, longest drive, closest to the pin, and hole-in-one.The lucky winner of a hole-in-one at the pre-selected hole designated in advance by the Golf Pro will be awarded a complimentary cruise! Each 18-hole round of championship golf will include a 45-minute warm-up time at the driving range or putting green, one bucket of balls, bottled water, trolley service (as dictated by the course), locker room facilities and 9th hole refreshments.Enjoy drinks at the 19th hole prior to heading back to the ship. Courses include The Kildare Hotel & Country Club, Royal Belfast Golf Club, Gleneagles King’s Course and many more. Contact us for specific departures and full details of any of the golf and cruise holidays mentioned above.